We play on three high-quality Badminton courts with sprung wooden floors at the Bridge Leisure Centre which opened in October 2018, we believe it is one of the best facility for playing badminton in Sussex. Horsham Arun has a significant obligation to its members and to the welfare and the development of the game. Over the past years, the club has continued to go from strength to strength, with a new and enthusiastic management committee and members who have the whole welfare of badminton as a common goal. 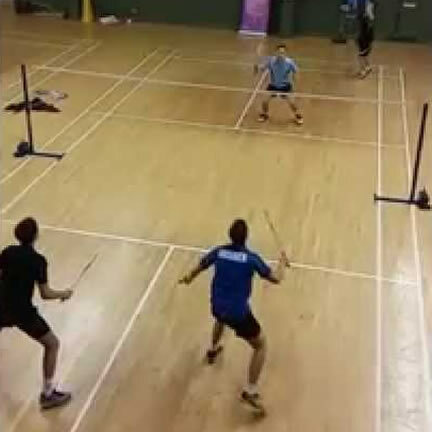 Horsham Arun Badminton Club (HABC) can trace its roots back to 1926 at which time there were two clubs in the Horsham area, Roffey Club and the Saracens Club (which later changed its name to the West Horsham Club). HABC was formed when these two clubs combined in 1954, playing at the Albion Hall in Horsham. Horsham District Council’s plans included the development of the venue, now Swan Walk Shopping Centre, and HABC relocated to an Atcost garage at the old Army camp at Broadbridge Heath. This infamous venue is widely remembered for its leaking roof and concrete floor. Following the move HABC embarked on a long-term fundraising campaign, eventually securing funds to upgrade the venue, including the luxuries of heating, an insulated floor and a lounge area. In the mid-1980’s HABC relocated again as once more Horsham District Council sold the venue for development, this time to Tesco Stores Ltd. This second relocation proved rather more beneficial for the club as it culminated in the building of Broadbridge Heath Leisure Centre including HABC’s purpose-built badminton hall, with private changing rooms and a lounge bar overlooking the courts. From October 2018 we moved to the new Bridge Leisure Centre which has been purpose-built for the benefit of the people of Horsham and surrounding areas, to enjoy. Join us on Facebook, or send us an Email !